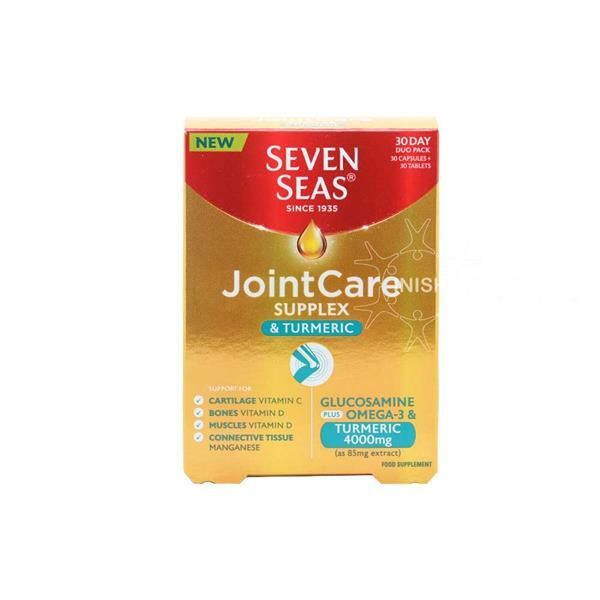 Seven Seas Joint Care Supplex and Turmeric contains Glucosamine, Omega-3 & Turmeric 400mg. This 30 day supply supports cartilage (Vitamin C), bones (Vitamin D), Muscles (Vitamin D) and Connective Tissue (Manganese). The joint care supplement contributes to normal collagen formation of the cartilage and normal levels of muscle, immune and connective tissue function.